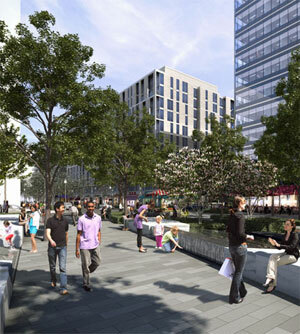 New CityCenter Brings Green Public Space to Downtown D.C.
From Northwest Park, visitors will move into CityCenterDC’s central plaza, which the designers hope will serve as a “living room of the larger neighborhood, a public space where people can sit at cafes, meet friends and relax.” The plaza will include a “dynamic composition of trees, clipped flowering hedges, seating and fountains designed to give the space a sense of longevity and permanence despite being surrounded by two stories of stores and restaurants.” Year-round events are also expected to draw people in. In addition to the new public spaces, green roofs terraces and gardens will be incorporated into all the buildings of CityCenterDC, creating a “visual experience” for both residents and pedestrians. All those new green roofs may also help D.C. finally take the lead in the race to be the city with the most rooftop green space. In 2010, only Chicago was ahead of the district, adding half a million square feet to DC’s 400,000 square feet. 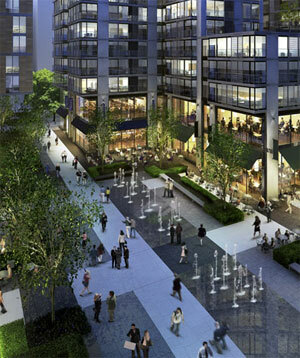 Learn more about CityCenterDC and see more images of the landscape designs. According to OUTR, the Docklands is a neglected neighborhood just a 10 minute walk from Melbourne’s central business district. Since the late 1800’s, the Docklands have been largely home to abandoned shipyard infrastructure. “The space remained vacant and unused during the 1980s and it fell in to disrepair. Docklands became notable during the 1990s for its underground rave dance scene.” Recent efforts to revitalize the neighborhood include Etihad Stadium, Southern Cross Station, and the Southern Star Ferris wheel. “Day 1. Teams arrive and get settled into camp. Uniforms will be handed out at the welcoming ceremony and the afternoon will be spent doing an orientation of the docklands sites reviewing previous working models. Day 2. Participants have the opportunity to attend an organised symposium where local and international designers, policy makers and artists are invited to present their works. The symposium aims to set the radical and innovative framework and expectations of the event. Teams will have the chance to complete a number of small group exercise to get the imaginations flowing. Day 3. Teams will assemble at the docks at 9.00am sharp where an opening ceremony will take place. Guest speakers will be invited to announce each of the teams with a brief and a site. Once the start time has been called teams will have precisely 72 hours to complete that mission! Teams will most likely spend the day brainstorming and designing their sites. Day 4. Day 2 of the competition. Teams will purchase materials and construction of sites in response to missions will commence. Day 5. Day 3 of the competition. Teams should be well underway with construction. As of midday teams will have 24 hours left to complete their mission. The competition is open to individuals and groups who want to “design, build, work and sleep on site, enriching the city with a multi-cultural and multi-disciplinary experience.” In addition to all that fun, first prize winners will take home $20,000 AUD ($21,700 USD). 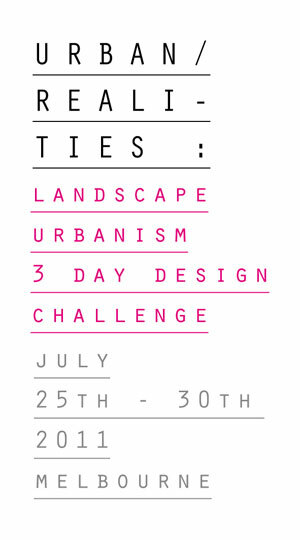 Also, check out AECOM’s Urban SOS 2011 student design competition. The focus of this year’s competition is water. Submissions are due by July 29. Winners will receive $15,000. Andrea Cochran, ASLA, a preeminent landscape architect, said landscape architects often don’t get appreciated for their subtle work because if a “landscape is designed well it looks like nothing has been done. It’s hard to sell nothing.” As a result, Cochran joked she now shows “before images” in all her presentations. At the National Building Museum, Cochran outlined the many artists who have influenced her work and explained some of her projects that have, in turn, influenced many landscape architects. Her interest in both art and science drew her to landscape architecture. She wanted to study art but her parents wanted her do something more practical. When she discovered landscape architecture, she believed she found a good fit. Within the field, Cochran has had many careers. She worked with the National Park Service in New England, designed landscapes for U.S. embassies in the Middle East, and spent time with a design-build firm before starting her own practice, which now has 12 people. 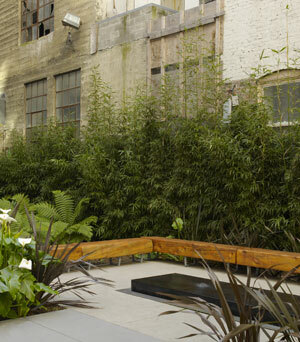 For the Curran House, an affordable housing project in San Francisco’s rough Tenderloin neighborhood, Cochran created a contemplative garden residents can visit to decompress (see image at top). While she says her work is usually “hard-edged,” in this case she used found tree logs to create soft, comfortable custom benches. A water fountain also helps create a meditative space. Bamboo functions as a green wall, hiding views of the gritty building walls. Cochran’s other educational work includes Nueva School, which sewed the “landscape and architecture together in a seamless way.” The project, which was done with a very limited budget, incorporates leaves in the pavements to teach students about the nearby trees. The story of the runnel is “also very important” because it demonstrates how stormwater moves onsite. 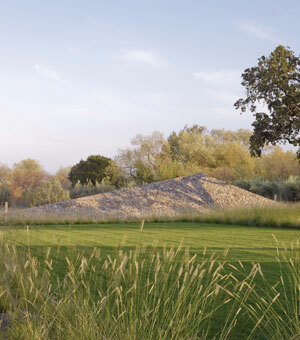 At the residential scale, one of her major projects in northern california, Stone Edge Farm created a simple yet elegant landscape to manage water. In some areas, leaf litter was left as the landscape in order to protect the Oak trees on site, which “don’t like summer water.” To deal with water, stormwater was diverted to a dry streambed now filled with succulents. Drought-tolerant meadows mean no water needs to be pumped in. In addition, Cochran salvaged 100-year old olive trees that were about to be cut down, installing them to create a “space that has volume.” She also loves the texture of the old trees. Digging up the site unearthed lots of stones, she asked her client if she could reuse the boulders to create a 100-foot tall pyramid. “He looked at me like I was crazy and then said yes.” The pyramid itself is an angled plane of stones. As an object, its “receptive to the changing nature.” The added benefit of the pyramid: It hides views of the Llama farm next door. She said she has received criticism that her work doesn’t look like an “ecological landscape.” In other words, its “too beautiful so it can’t be sustainable.” Cochran shows that landscapes can be both sustainable and beautiful and certainly aren’t nothing. 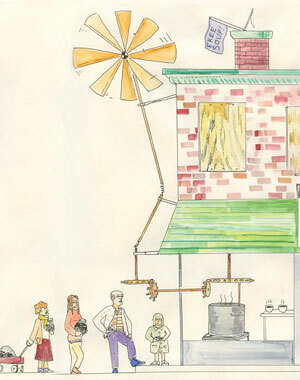 Read an interview with Cochran and check out a book on her work. 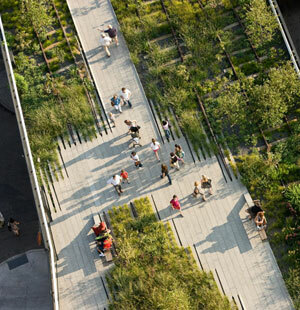 Image credits: (1) ASLA 2007 Professional Honor Award. Curran House / Marion Brenner, (2) Allegheny Public Square Revitalization / Andrea Cochran Landscape Architecture, (3) ASLA 2009 Professional Honor Award. Stone Edge Farm / Marion Brenner. Finally, he asked, “why do we love parks and cultivated gardens?” The idea of nature is often “expressed beautifully in music, arts, and literature.” Nature “excites the imagination,” a process psychologists increasingly understand. In fact, this intense reaction of people to nature may be innate. Biophilia, a term Wilson coined to describe the “intrinsic attraction people feel towards nature,” is now being taken up by “students of landscape architecture” (see earlier post). He described how humans in different countries all like high open spaces they can look down upon and being close to water. “People will pay any price for property” that fits those qualities. As for Dumbarton Oaks Park, which Dodge Thompson, National Gallery of Art, called a “cultural landscape treasure” and an “eden in the midst of the city,” its conservancy is starting a “vision charrette” in October. 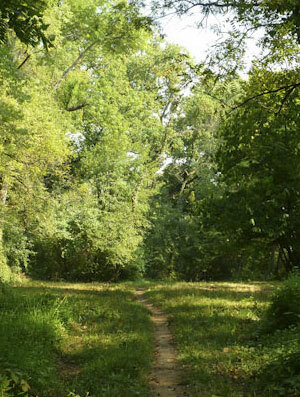 The process is expected to guide a complete ecological restoration to “recraft the park in a environmentally sustainable way,” said Rebecca Trafton, president of the Dumbarton Oaks Park Conservancy. She said Farrand believed the park demonstrated the “educational and civilizing influence of beauty.” That beauty must be maintained, but issues like invasives, graffiti, worn-out trails, and broken stormwater management systems must also be carefully addressed. 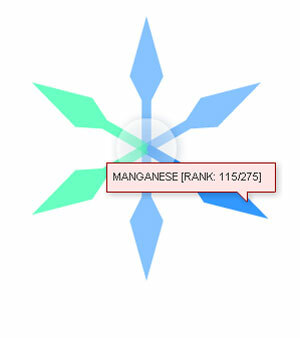 Visit E.O. Wilson’s new Encyclopedia of Life project, which aims to document all the world’s 10 million or more species online. Also, check out Dumbarton Oaks Park when next in D.C. 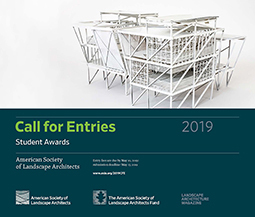 The American Society of Landscape Architects (ASLA) is seeking applicants for its 2011 summer (May – August) internship program. A summer internship with ASLA provides an excellent opportunity for a graduate student studying landscape architecture, architecture, urban planning, sustainable development, or environmental studies. Students with an interest in policy, advocacy, and Web communications are encouraged to apply. 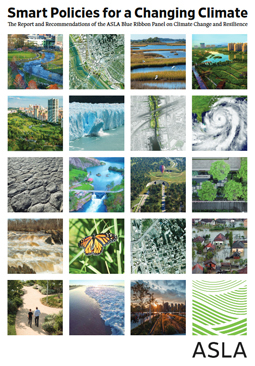 The intern will conduct research and identify resources to be added to ASLA’s series of resource guides and toolkits, online resources created for designers, planners, educators, advocates, and policymakers. 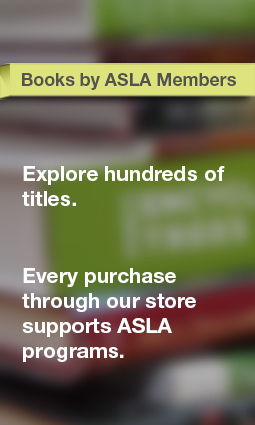 To date, ASLA’s guides have been viewed more than 50,000 times. Interns will also propose recommendations for improving the structure of the guides and editing older, less useful resources. Interns will have the opportunity to attend educational and networking events at the National Building Museum, Harvard University’s Dumbarton Oaks, and other museums and think tanks in Washington, D.C.
Current enrollment in a Master’s or PhD program in landscape architecture, architecture, urban planning, public policy or administration, environmental studies, or related field. Passionate interest in policy issues related to design, land use, sustainability, and the environment. Proven research skills and ability to quickly evaluate the quality and relevance of many different types of online resources. The 2011 summer internship is unpaid. The ideal candidate will have their own research projects that would benefit from this project. Applicants are required to receive funding through their university or an external fellowship in order to be considered. Applicants can also use the internship to fulfill internship requirements. The summer intern should be present at ASLA offices for a minimum of three full days per week. 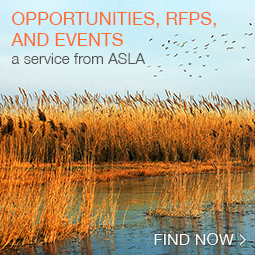 ASLA offers a flexible schedule. 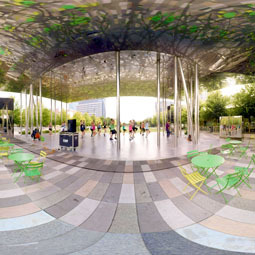 Please send cover letter and résumé to aklages@asla.org by Friday, May 6, 2011. Steven Peck, Hon. ASLA, kicked off the Washington, D.C. meeting of his organization, Green Roofs for Healthy Cities, by stating the U.S. green roof market grew 30 percent in 2010 despite the challenging economy. A survey of corporations involved in green roof design and development found that 8-9 million square feet of green roofs were added last year. Much of this growth occured in cities like Chicago, New York, and Washington, D.C., which offer significant “public policy support” for green roofs. Up to 30 percent of many cities’ surfaces are rooftops, meaning there are “huge opportunities for expansion.” He believes adding green to roofs is increasingly critical given urban boundaries continue to expand at a rate of 1 percent per year, meaning “we are destroying nature and wildlife habitat at a rapid rate.” Some of that nature can be restored on roofs. 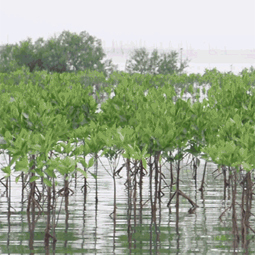 Furthermore, green infrastructure projects create lots of local jobs. “Green roofs are highly labor intensive and you can’t export these jobs.” Making the case for increased public investment, he said adding green roofs to 1 percent of U.S. buildings would cost $9 billion and create 190,000 jobs. For 5 percent of buildings, the cost would rise to $48 billion and create almost a million jobs. Finally, if 10 percent of all buildings had these green infrastructure systems, the cost would be $96 billion but almost two million jobs would be created. 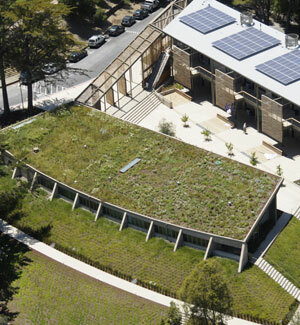 According to Peck, green roofs have many financial benefits. His calculations show their average stormwater mitigation benefit is $4.26 per square foot. He cited studies showing how increased greenery in urban areas reduce crime, which is expensive for communities and governments. Rooftop greenery increase property values. “A view of a green roof improves property values for nearby buildings by 11 percent; in comparison, a nearby park leads to a 20 percent increase.” These systems also act as sound absorbers. While the benefits are hard to quantify, a large building near an airport was able to reduce significantly reduce noise by creating a large-scale green roof, creating a nearly one million dollar benefit. Lastly, Peck said rooftop solar panels work better if integrated with green roofs systems: their efficiency is increased by 5-25 percent. In one omission in their study, the government didn’t explore whether green roofs are carbon neutral and how much green house gases they sequester over their lifetime. A lifecycle analysis of the primary materials that go into green roofs, along with the process of construction and installation, also needs to be done to determine the overall carbon footprint of these systems. For example, some green roof manufacturers are using lots of PVCs, said one attendee. 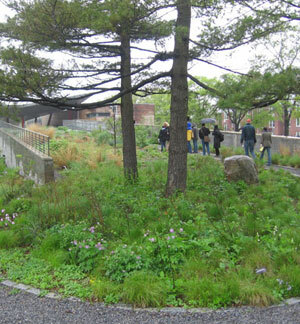 Learn more about Green Roofs for Healthy Cities’ upcoming national conference, CitiesAlive 2011. In a recent talk, Dr. Richard Jackson, former head of the National Center for Environmental Health at the CDC, said there are “deep-rooted structural issues with the built environment that are creating epidemics of obesity, diabetes, and depression.” How will New York City’s new Active Design Guidelines solve these major problems? 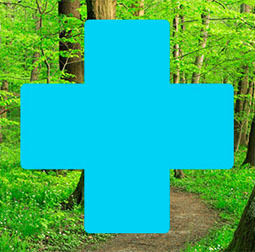 We take the message of health practitioners very seriously and have started re-visiting the way we plan, design, and build. “Deep-rooted” is true — we subscribe to a culture of design and planning. Our Commissioner, David J. Burney, had the vision of creating best practices through a set of design guidelines based in research and evidence. Active design addresses both outdoor and indoor environments. 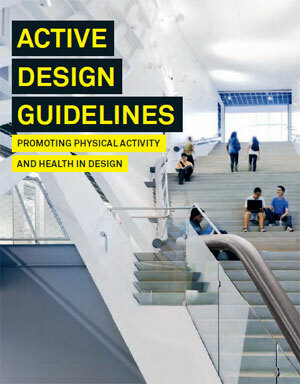 The guidelines have chapters on health and the built environment, urban design and building design strategies, and synergies with sustainable design and universal design. Working together across sectors and disciplines, with the collaboration of landscape architects, we think we have a fighting chance to solve these major problems. When many people think of New York City, they think of busy, rushed walkers and subway riders. But we see from the guidelines that the real picture is quite different and major parts of the city are stuck in their cars and facing the same epidemics as the rest of the country. How do the obesity and diabetes rates differ across the city? Do these rates closely correlate with location or income? Our central business districts are often congested like those in any other world city. Not only does congestion create a loss of productivity but we also now know it impacts health in several dimensions. Just as obesity affects different states in the country, the obesity and diabetes rates differ in neighborhoods across New York City. Socioeconomics and access to parks and recreation, transit, healthy food all have roles to play. We often talk about design tools. 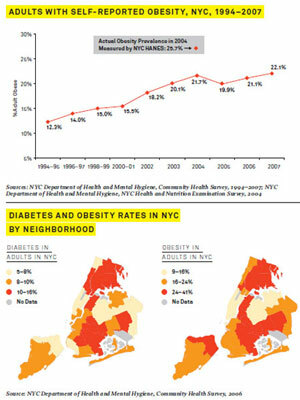 One of the most important tools for me working with health professionals is the actual obesity map of New York City. Subsequently, I’ve seen similar maps for Washington, D.C. and other communities. They tell a compelling story of how we have to tailor active design to different neighborhoods. Access to active transportation and recreation vary. By understanding these local factors, we can think about whether parks should have more active vs. passive areas or whether schools should use their rooftops differently. The unifying factor, though, could be the streets because they connect neighborhoods. We already know that streets could be safer by design. There are graphic examples of traffic island design, curb cut considerations, and bicycle infrastructure in the guidelines. Additional references can be found in DOT’s Street Design Manual, also published during the administration of Mayor Michael Bloomberg. The guidelines say there is great overlap between active, sustainable, and universal design. 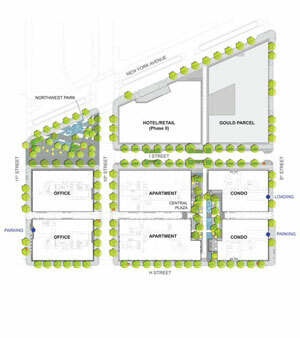 Today, a well-designed park like the High Line is expected to meet the requirements of all three disciplines. What’s the direct connection between active design and sustainability? 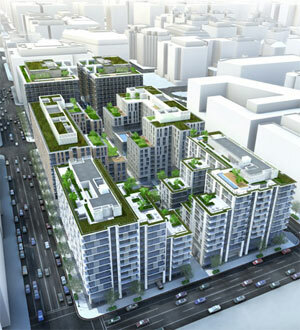 Yes, the High Line on the westside overlooking the waterfront is a prime example. Active design often reduces our carbon footprint. If you walk the length of the High Line, you save yourself a subway ride, let alone a car trip. Even though we do not yet have a study, one can imagine the mental health benefits taking in the views and landscape design. In the LEED for Neighborhood Development (LEED-ND) rating system, active design is pervasive in credits such as bicycle network and storage, walkable streets, access to recreation facilities and tree-lined and shaded streets. Shading from trees and energy savings have direct correlations. 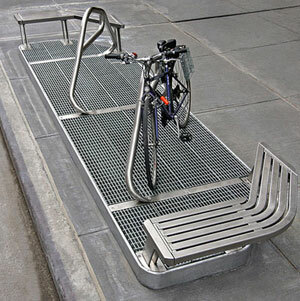 In New York City’s streets, you can find sidewalk installations with bicycle parking, seating, and a raised grating for subway stormwater management all in one. Another direct connection we have created is the LEED Innovation Credit for Physical Activity, which was used in projects like the Department of Design and Construction (DDC)’s Riverside Health Center and an affordable housing project in the Bronx, Via Verde, which is expected to be certified LEED Gold by the U.S. Green Building Council. The goal is to reduce TV time by creating active recreation areas, and reducing elevator use by encouraging stairs. The guidelines are voluntary. Is the goal to make these approaches mandatory for new projects in NYC and across the U.S.? What do you see as the pluses and minuses with integrating these recommendations into community landscape codes? The guidelines were only launched in 2010. The positive feedback is very encouraging. We are fortunate to be able to apply them immediately to projects in New York City and beyond. New York City can advance the objectives of the guidelines in other communities by merely demonstrating its commitment. It may be a little early to discuss the pros and cons of integration with community landscape codes as we are receiving feedback from each project and still working with designers and policy makers. The lessons learned from a portfolio of projects will undoubtedly be the best guide to our next steps. Recommendations for pilot projects from landscape architects are welcome. Working with the health department and using CDC funds, your department is now helping other cities adapt the guidelines to their own scenarios. Major cities like San Diego, Miami, and Boston along with smaller cities like Birmingham have already signed-on. Are the challenges facing larger and smaller cities trying to incorporate active design approaches different? We are very early in the process and certainly understand scales matter. One major achievement of the guidelines has been to start a dialogue on active design in municipalities of all sizes. While larger cities have more resources, smaller cities can move policies faster. Think of all the towns and cities that have bicycle lanes already. Based on the feedback to date, we also see the need for guidelines for suburban and rural communities and are looking for resources to implement this next phase. Another consideration is the different climates in the country. You pointed out geographically diverse cities. Outdoor summer and winter play are especially important to growing children and we have to be mindful of the settings and temperature conditions. Devising active transportation and recreation opportunities for indoors and outdoors, adults and children, are parallel goals that we are pursuing. Easy and affordable access is key. The guideline’s urban design checklist starts at the broad scale. For example, the guidelines call for mixed land-uses; putting homes and workplaces near green spaces, recreation areas, and supermarkets; facilitating easy connections with a variety of transportation networks; and designing open spaces. However, these types of fixes can be expensive for smaller communities that have already sunk a lot of money into their infrastructure. How can communities retrofit themselves for active living in a low-cost way? The guidelines are principles-based because we know that adaptations in different communities are important over time. Collaborations with planning and transportation departments is highly encouraged because the opportunity for large-scale change is critical to improving public health. Bringing active design and health into the conversation during zoning, transportation boards, and commissions meetings could be catalytic. While planning efforts like those in the DCP’s Bicycle Master Plan and the Waterfront Comprehensive Plan in our city are very effective, active design can also be integrated in a variety of retrofit projects. We are seeing the success of new green streets and pedestrian plazas. 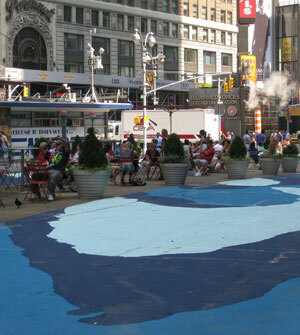 Another low cost strategy is turning passive outdoor space into active space. Childhood obesity is now a national conversation. Even with incremental changes in every project, they become permanent opportunities for people to become active. Fortunately, population health is measured over time. Getting down to the nitty-gritty of street design, the guidelines also make specific recommendations for street calming, pedestrian pathway design, street-level programs like cafes and public art, and bicycle infrastructure. Can you name a couple active living design strategies you think landscape architects must look out for? While there are specific recommendations, the guidelines are not meant to be prescriptive and we welcome the creativity of landscape architects in what you term street-level programs. We offer ample illustrations of what works well in New York City. Landscape architects can bring active living design strategies to a focus in many areas. For example, playground and natural and walking trail design are fertile grounds for further exploration. Bicycle trails and lanes are opportunities to collaborate with transportation engineers and planners. 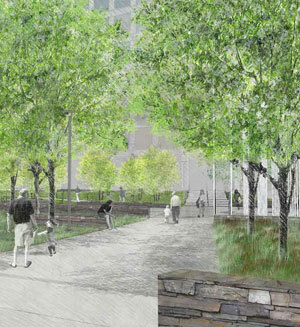 Waterfront park design is a growing field for landscape architects. These projects revitalize communities. 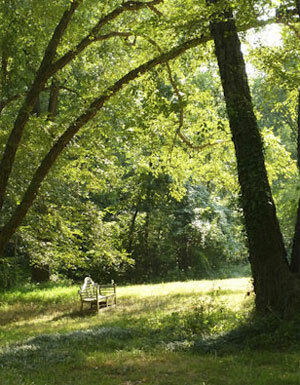 Well-designed campuses filled with native plants provide a wonderful incentive for walking. 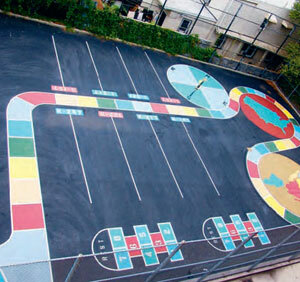 Step streets and Safe Route to Schools projects offer similar active design potential. Green roofs encourage rethinking of the space on top of buildings. 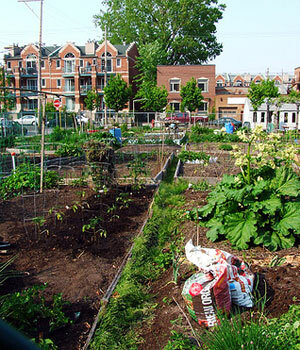 Gardening and urban agriculture, popular topics for many communities, are next steps that we are exploring now. These are just a few ways to promote physical activity. I look forward to collecting additional best practice examples from landscape architects in the future. Also, at the end of April, I am participating in the MillionTreesNYC Planting Day with DDC volunteers to help advance Mayor Bloomberg’s PlaNYC initiatives. Hopefully, landscape architects can catalyze the growth of similar local programs elsewhere and further promote active living and sustainability. According to Linda Slodki, Mt. Airy Art Garage, the arts are a highly cost-effective way of driving economic revitalization in urban areas. However, the arts not only spur economic development but also “shape our consciousness, create a collective attitude, inspire, remake behavior, and reduce stress.” In a session at the national Brownfields conference, both public artists and arts policymakers discussed how this process works. 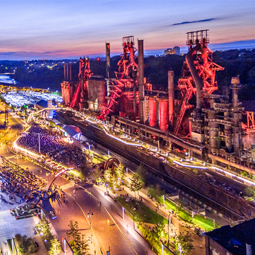 Gary Steuer, Philadelphia’s chief cultural officer, said the arts industries are deeply connected with economic development in his city. However, there’s still a raging debate over whether art has more intrinsic or instrumental value. Intrinsic value relates to the aesthetic value of any work of art, its own value as a piece of individual expression. Instrumental value relates to the ability of art to educate, create jobs, increase real estate value, build citizens, increase tourism, and provide other benefits. 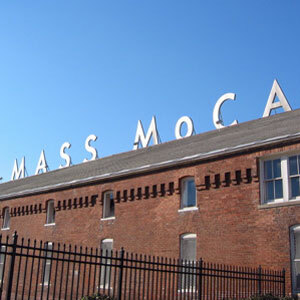 As an example, Steuer pointed to MASS MoCA, a 13-acre site in North Adams, Massachusetts. An unused building was turned into a space for “huge art installations.” MASS MoCa has had a “transformative effect on its community.” The building also houses creative design businesses like Web design firms. The museum itself has attracted 100,000 visitors, contributed $15 million to the local economy, and increased local property values by $14 million. In another example, Steuer explained how the Brooklyn Art Museum draws in half a million visitors a year and has helped preserve a multi-cultural neighborhood filled with old buildings. 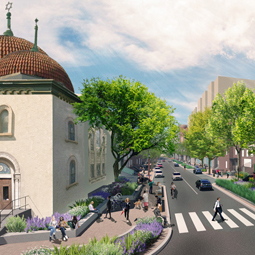 In addition, both of these projects had positive benefits without kickstarting gentrification. To get their own massive public art project going in a major civic space, Future Farmers created their own imagery and tools. Their logo was a “pogo-stick shovel.” They designed a fun wheel-barrow bike. Seed banks were created for San Francisco’s distinct micro-climates. An online garden registry was created. With a $60,000 grant from the city, they also created a set of test plots throughout the city, which included raised beds, seeds, and water. 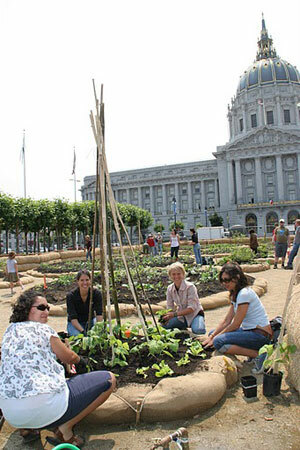 In addition to educating residents about self-sufficiency, urban farming, and American history, one tangible result of this project was a directive that formalized the city’s committment to urban agriculture. Also, the art project brought in lots of visitors to City Hall. 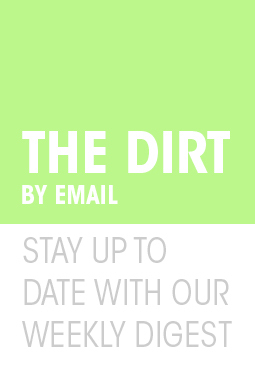 In Philadelphia, Future Farmers has just launched an innovative project called Soil Kitchen. Given the building the team used is near a scultpure of Don Quixote, Franceschini decided to add a windmill on top of the building. Within the building, Future Farmers set up a soup kitchen for local residents. In a sort of interactive art piece, residents get free soup if they deliver a soil sample. Soil samples will be tested for contaminants and then plotted along a map of the city. The goal is to get thousands of samples to determine a broader soil remediation plan in the city. Mel Chin, public artist and provocateur, leapt to the stage at the conference, ripped off a staid suit to show an undercover miltary uniform, and brought out a large shovel. Leading the crowd in a marching cadence, he sang about his Operation Paydirt and Fundreds Dollar Bill project. Chin said New Orleans was a “disaster before it was a disaster” because its soils were the most contaminated in the country. Extremely high levels of lead meant that “more than 30 percent of the population was poisoned before they reached adulthood.” He found that $300 million would clean up the city’s soils but he quickly realized getting a hold of those funds from the federal government was going to be very difficult. 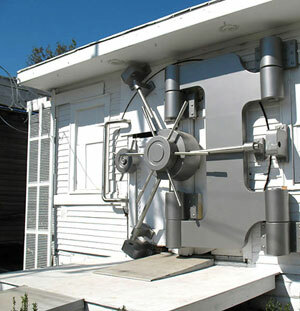 Within communities, he’s created “safe houses”, buildings with fake bank vault exteriors. Using guards, a safe house stores some 10,000 Fundred dollar bills. Schools gather the community, waiting for the safe house to be opened, only for the kids to discover they need to create their own Fundred once they get inside. The armored truck also drove these bills to Philadephia, the site of the original U.S. Mint. His ultimate goal is to send these to Congress to get them to act on soil health. After coming to D.C., these bills will be added to the permanent collection of the Smithsonian Museum. Chin said they may end up at either the American History Museum or Hirshhorn. 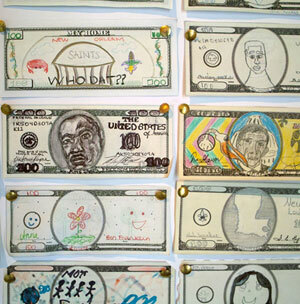 Learn more about the Fundred Dollar Bill project and see a slideshow. At the national Brownfields conference, a few innovative social media and education projects demonstrated how the Web and video can be used to educate the public and school students about the dangers of toxic brownfields. For people living near brownfields and students growing up beside them, these tools provide important weapons in the fight to force local governments and developers to remediate and redevelop the many sites that continue to plague cities. In an example of one local group that is using a HabitatMap, he pointed to the Netwon Creek Alliance, which has created “Creek Speak.” Using an oral history approach, HabitatMap partnered with local researchers to interview neighbors of a local superfund site. Most of these residents had no idea they were living next to a toxic site. One woman described how green ooze pours out of her air conditioner unit and how her health has suffered over the years. Superfund365.org, created by SUNY Professor and artist, Brooke Singer, visualizes one superfund site each day. “Using aesthetics and design to pull people in,” the Web site hopes to make the environmental impacts of these sites and their contaminants more easily understood to the people who have unknowingly created lives near them.